Aaron Cole January 15, 2018 Comment Now! 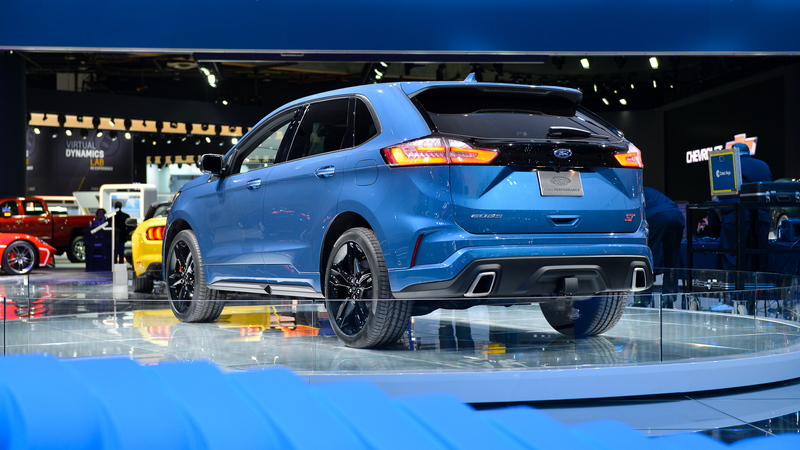 The 2019 Ford Edge ST was unveiled Thursday, the latest iteration of the popular Ford crossover and the first to wear the ST badge. The Edge ST follows the Fiesta and Focus into ST territory, albeit with a powertrain that wears a "Sport" badge on other models. 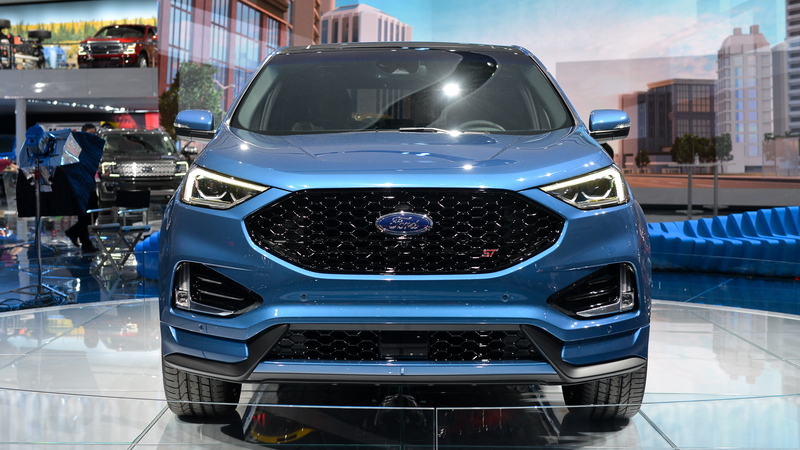 The 2019 Ford Edge ST will be powered by the automaker's 2.7-liter twin-turbocharged V-6 that appears in the Fusion Sport and Edge Sport, but with a small power bump to bring it up to ST levels of performance. In the Edge ST it will make 335 horsepower and 380 pound-feet of torque. It's mated exclusively to a retuned 8-speed automatic transmission with paddle shifters and all-wheel drive. Ford isn't quoting specific performance numbers, but the combo should slightly outperform the Edge Sport, which takes 6.2 seconds to dash up to 60 mph powered by the same 2.7-liter turbo-6 but with 20 fewer hp and 30 fewer lb-ft of torque. The addition of the ST badge brings bigger wheels—21-inchers vs. 20s on the Edge Sport—a wider grille, dual exhausts, and a more aggressive body. Inside, the Edge ST has beefier bolsters to keep the goodies in line while cornering. The move toward ST could signal a sea change for Ford Performance. Previously, the ST badge had been reserved for its hot hatchbacks and included a day at Ford's Octane Academy for new owners. 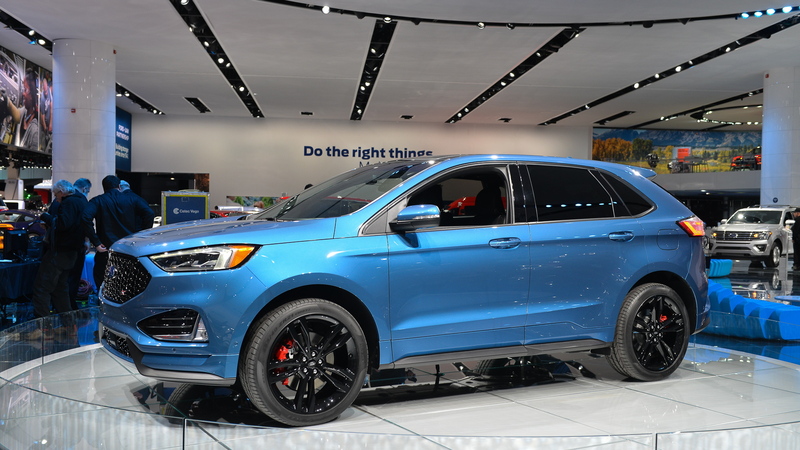 Ford didn't say if the new Edge ST would come with the same courtesies, but here's hoping we all get a chance to hustle a 2-ton SUV around a track. The rest of the Edge lineup will get minor updates for 2019, including a 5 hp bump in 2.0-liter turbo-4 models (to 250 hp), start/stop to save fuel at lights, and more standard safety features such as blind-spot monitors, active lane control, LED headlights, and forward-collision warning with automatic emergency braking. 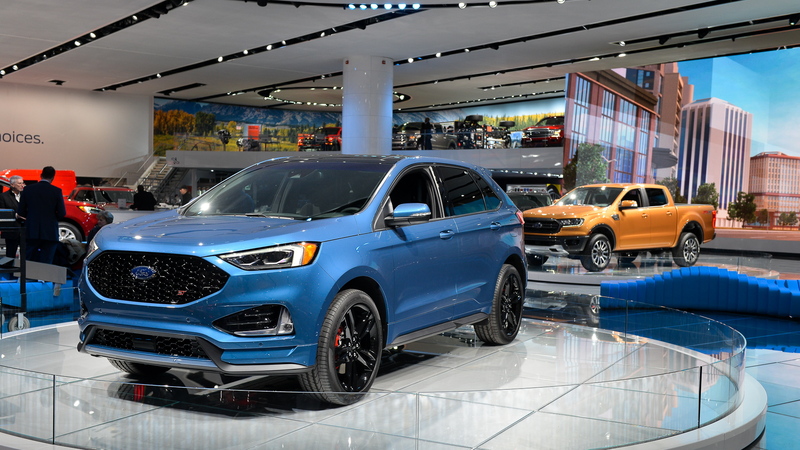 The 2019 Edge and Edge ST will arrive in dealerships this summer. Ford hasn't yet announced pricing, but the Edge shouldn't stray too far from the current model's $30,215 base price. 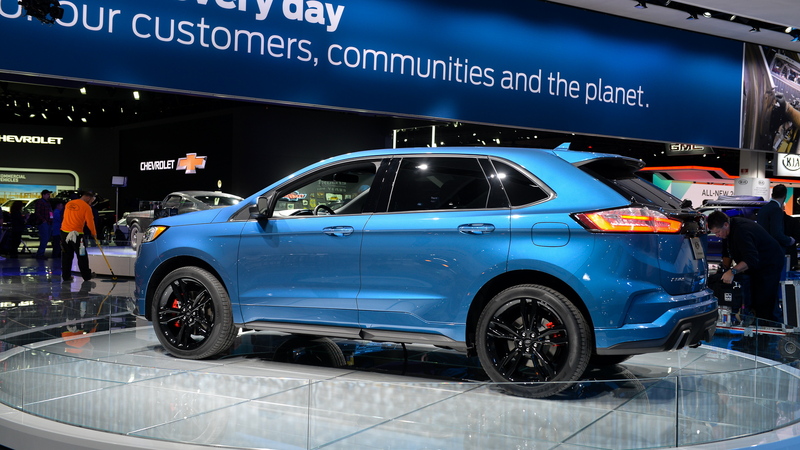 We expect to see the 2019 Ford Edge ST in the flesh at the 2018 North American International Auto Show next week. For more coverage of the show, head to our dedicated hub.